Use a sodium reduced soy sauce, such as those offered by Kikkoman or Lee Kum Kee. While the sodium levels may still be too high for persons on a sodium reduced diet, this is an option for persons who are merely trying to reduce their salt intake. Make your own soy sauce substitute. While there aren't many soy sauce substitutes on the market, you can make your own. 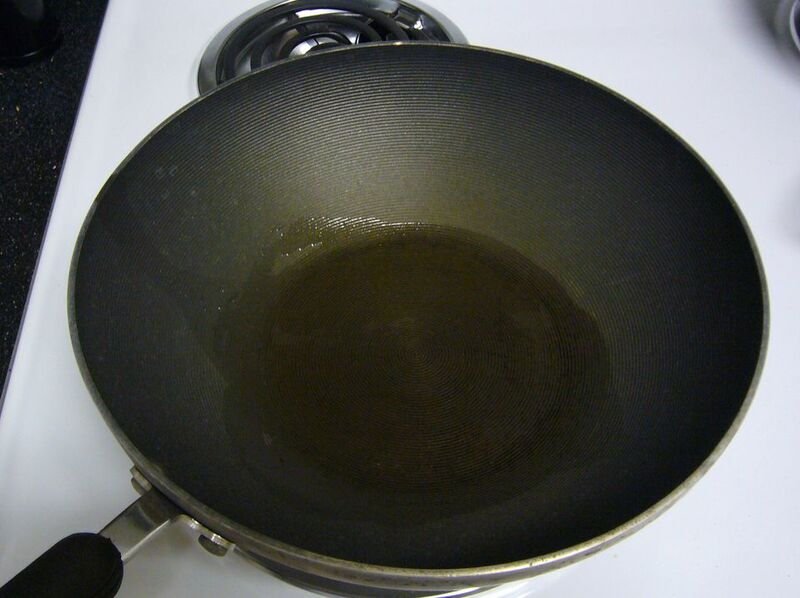 This recipe for a soy sauce substitute, with molasses, reduced-sodium beef broth and vinegar, is easy to make and has much lower sodium levels than either regular or reduced-sodium soy sauce. Use dry sherry or dry white wine instead of rice cooking wine in recipes. Cooking wine, including rice wine, that is sold in food stores has been treated with salt, both to give it a longer shelf life and prevent it from being sold as alcohol. Instead of relying on salt for extra flavor, increase the amount of herbs and spices in the dish. Spices such as five-spice powder, curry powder, and chili powder have loads of flavor and are salt-free. When a recipe calls for chicken or beef broth, use a low-sodium broth. Make your own broth. Homemade broths have more flavor than store-bought. Stored in a sealed container, the broth can be frozen for up to 3 months. When a recipe calls for peanuts or cashews, use unsalted nuts. Don’t avoid them altogether though - both have healthy unsaturated fats - and cashews are a good source of potassium, thought to help lower blood pressure. Use fresh vegetables whenever possible. Frozen vegetables are usually a better choice than canned, as many don’t contain any salt. There are a few exceptions, though – frozen peas are graded (tested for their level of tenderness and maturity) by placing them in a brine solution, so they will contain more salt than fresh peas. If you are using canned vegetables that contain salt, rinse them thoroughly under cold running water to remove some of the sodium.